The taco dates back to the days when Montezuma and the Aztecs ruled Mexico. 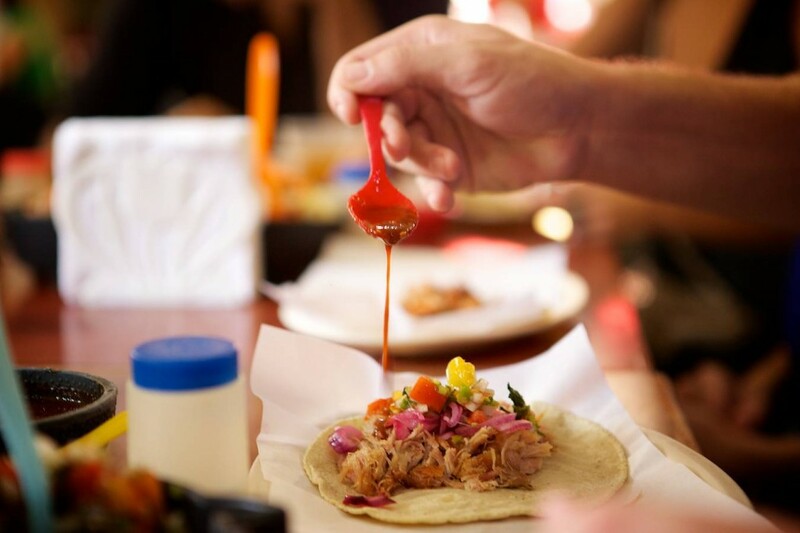 Tacos’ history is long, rich and a shining bright light in global culinary history. 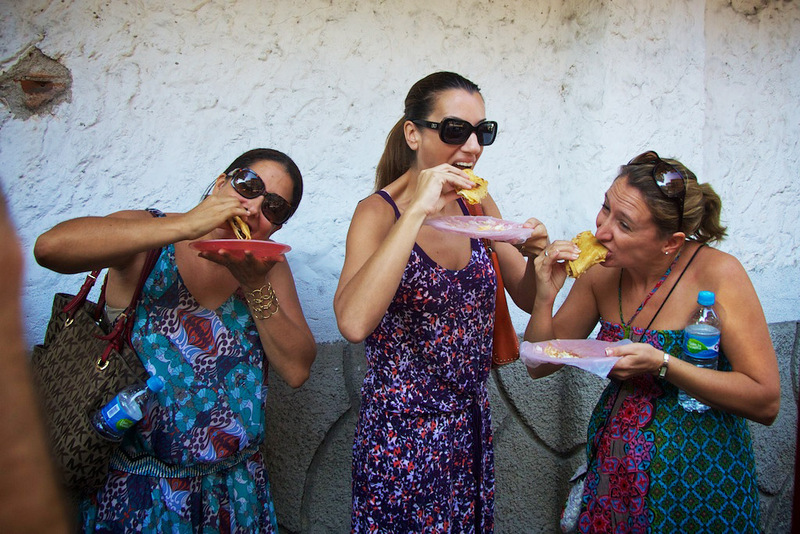 Aztecs would use corn tortillas as a makeshift spoon, scooping up their food in a delicious rolled up tortilla. For pragmatic reasons, they began wrapping their food in tortillas and tacos -to the delight of billions of people since- were born. As cities grew and the Spanish invaded, people migrated to find work. 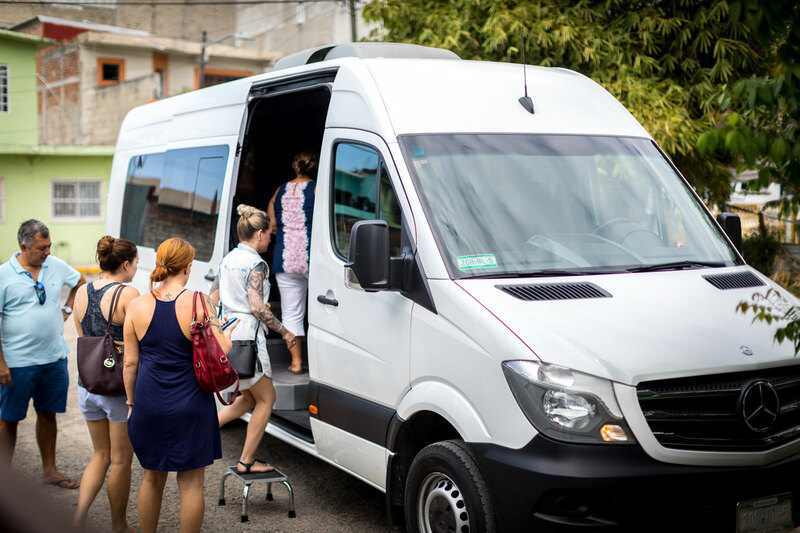 Mexico City was the largest city in the world – and is still one of the largest – and attracted people from all over the country. With this massive migration came foods from the different regions. Stands started popping up in street corners, offering speciality tacos from every corner of Mexico. 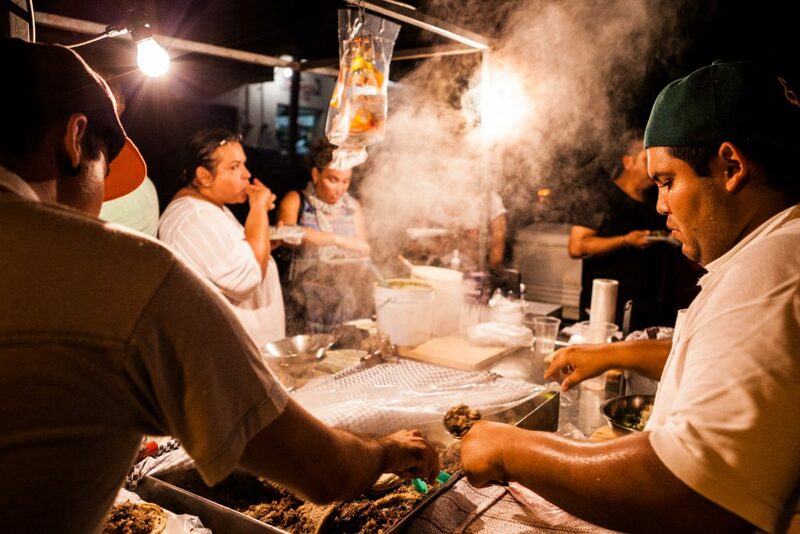 Street carts eventually came about, making it easier for people to enjoy muy rico tacos at affordable prices. The possibilities are endless, but in the interest of brevity here are some of our favorite classics and fantastic places where you can delight in the all mighty taco. 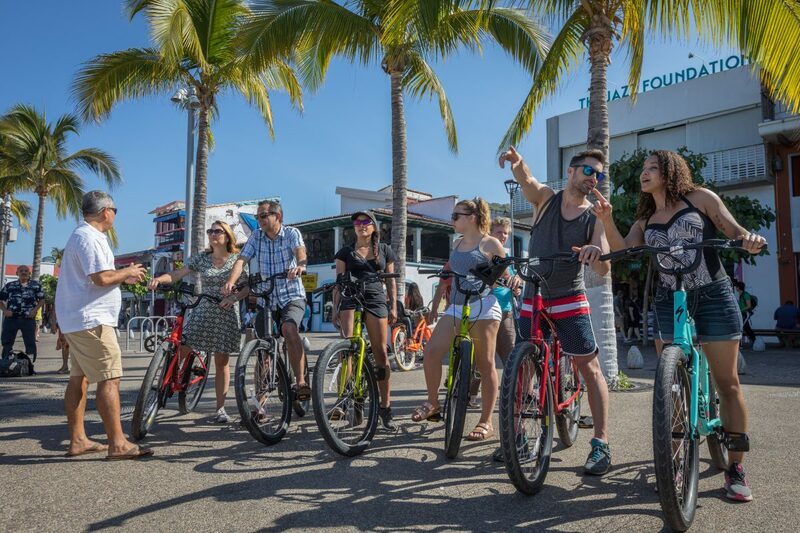 Some of these are on our Street Taco Tour, Downtown and Taste of Pitillal tours and some others are further north. Tacos Asada– the most identifiable and common taco. Carne Asada is specifically beef, usually skirt steak, flank steak or flap steak, typically topped with grilled onions, beans, and delectable salsas. Our favorite is Cuñados in Olas Altas by the Pier. Opening at 10am, this revered stand is also one of the city’s oldest. A close second is Memo Tacos in Aguacate and Basilio Badillo opening at night around 6pm. 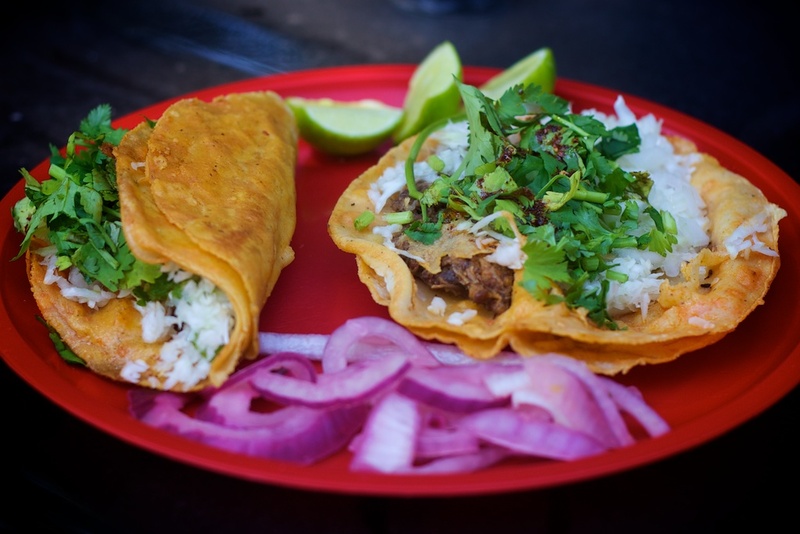 If you end up in La Cruz, Tacos of the Street are among the best in the bay! 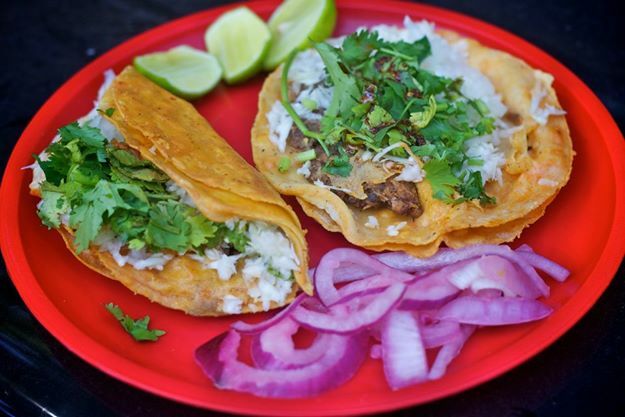 Birria Tacos– Birria is a popular stew hailing from Guadalajara made with marinated goat meat and typically served with cilantro, onions and corn tortillas. The best, and we have tried a bunch, has to be Robles stand in Romantic Zone on Constitution and Cardenas. A favorite in our Original Downtown Tour. Get there before noon because they will sell out! Fish Tacos– Originally from Ensenada in Baja California, fish tacos have become a staple on any taco list. 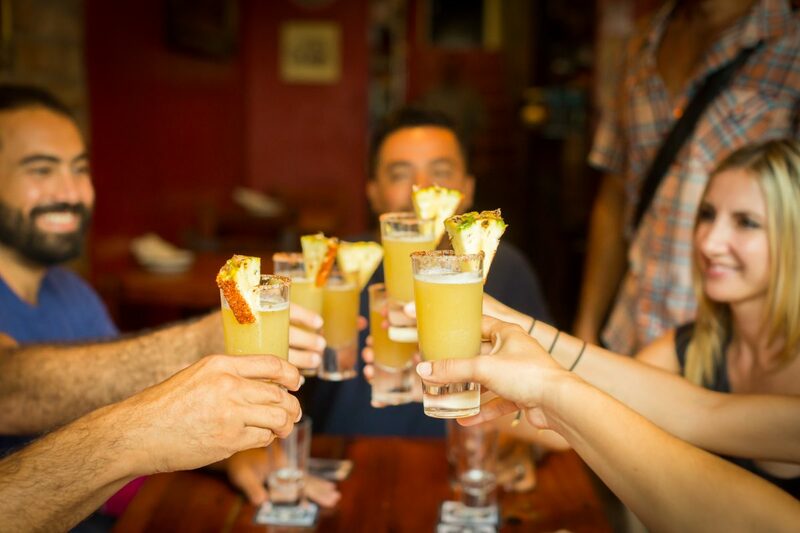 Our favorite is El Guero on 292 Madero Street in the Romantic Zone. All tacos are freshly made to order. For those hankering for more fish tacos, don’t miss Joe Jack’s Fish Shack, incredible fish tacos washed down perfectly with a freshly muddled mojito. Shrimp Tacos– also originated in Baja California in Mexico. Grilled or fried shrimp are used, usually with the same accompaniments as fish tacos: lettuce or cabbage, pico de gallo, avocado and a sour cream or citrus/mayonnaise sauce, all placed on top of a corn or flour tortilla. 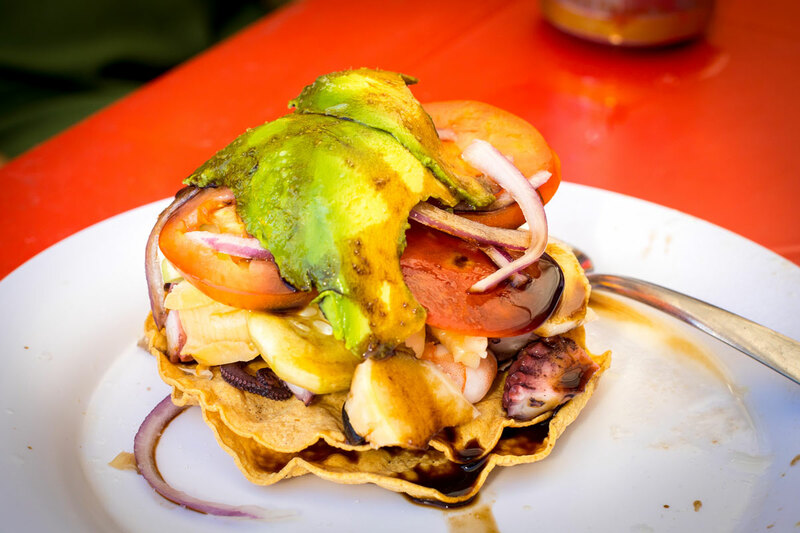 The best in PV can be found at Mariscos Cisneros on Aguacate and Carranza and Marisma also in the Romantic Zone. Tacos de Cabeza or head tacos, are made with a flat punctured metal plate from which steam emerges to cook the head of the cow. One of our favorite vendors on our Street Taco Food Tour is Tacos Don Juan on Aguacate located at 400 Cardenas across from another aforementioned favorite Cisneros. They also serve savory tacos de lengua or tongue tacos. Barbacoa Tacos is a form of cooking meat that originated in the state of Hidalgo. It generally refers to meats or whole sheep slow-cooked over an open fire, or more traditionally, in a hole dug in the ground covered with maguey leaves. Although the interpretation is loose, and in the present day (and in some cases) may refer to meat steamed until tender. 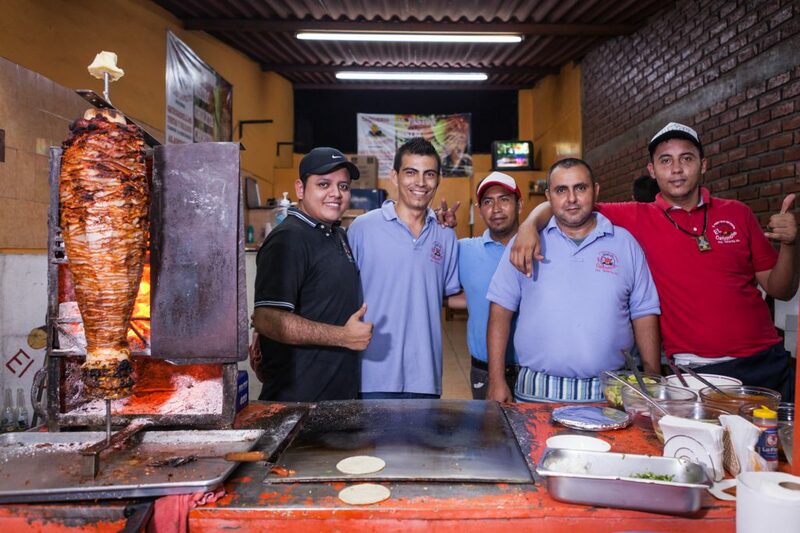 The best in Vallarta has to be Texcoco by the Stadium on Ecuador and Brasilla. They will be sell out by noon as well. Carnitas Tacos– Carnitas, literally “little meats”, is a dish of Mexican cuisine originating from the state of Michoacán. Carnitas are made by braising or simmering pork in oil or preferably lard until tender. There are numerous great ones but the most tender has to be Netos Carnitas in the Pitillal located at 219 Juarez about a block from the square. Al Pastor – Al Pastor is, in our opinion, the King of the Street Tacos. Pastor is meat cooked on a vertical rotisserie. This was adopted after Lebanese immigrants moved to Mexico and is an adaptation of shawarma. It is only served at night and is especially delicious after a night out on the town. 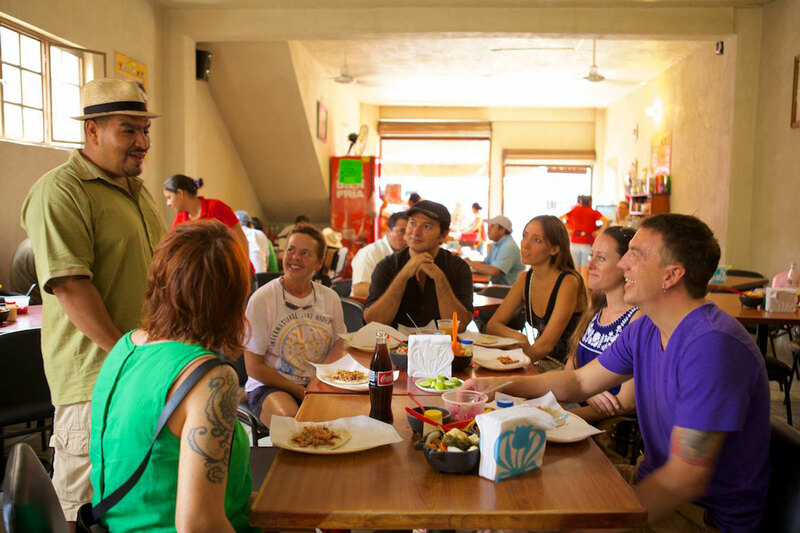 Our favorite on our Street Taco Tour in Vallarta is Carboncito, chiefly because of his use of coal instead of gas. He is located off Avenida Mexico and Paraguay and opens Tues-Sunday 6pm to 3am. Another one to try is Takos Pakos on Basilio Badillo in Olas Altas. So, let’s rejoice in the birth and subsequent expansion of one of the greatest culinary delights man has known – THE TACO!!!! Provecho!! !